This class consists of AKAGISAN and AKIBASAN MARUs completed in ‘24 for Mitsui Bussan K.K. AKIBASAN MARU was requisitioned in ’41 by the IJN and converted to an auxiliary transport. 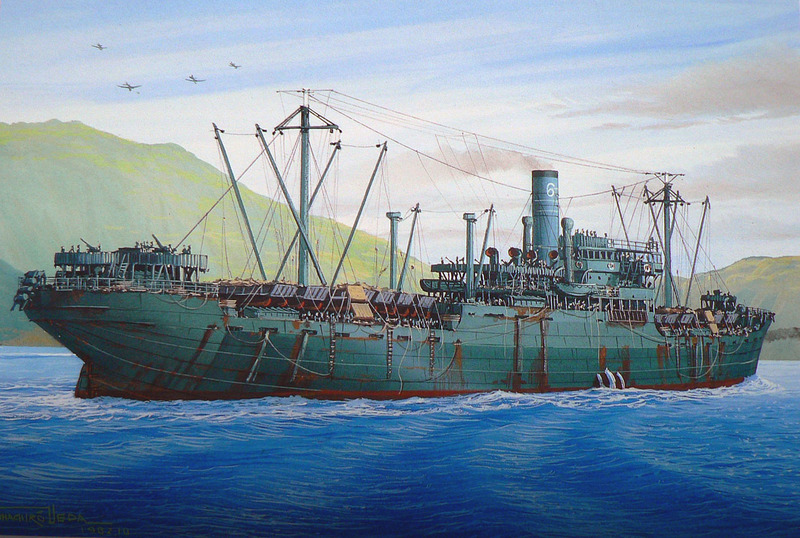 AKAGISAN MARU was requisitioned by the IJA and served as Army transport No. 866. Both were bombed and sunk by US aircraft respectively in Dec ’44 and Jan ‘44. Propulsion: Akagisan Maru: 1 B&W diesel engine, 1 shaft, 1,600 b.h.p. Akibasan Maru: 1 triple expansion steam engine, 1 shaft, 2,300 b.h.p. Speed: Akagisan Maru: 10,5 cruising, 12.0 max. Akibasan Maru: 11,0 cruising, 14.0 max.